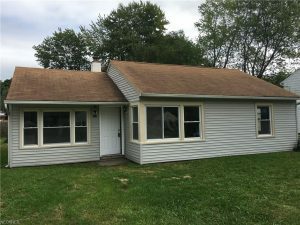 Welcome to this freshly renovated ranch in a great Painesville Twp neighborhood. Freshly remodeled kitchen, all appliances stay. New bath vanity, top, faucet, toilet, bathtub faucet, bathtub marble tile and floor. New carpeting and flooring thru out. New interior doors, trim and paint. New lights and ceiling fan. New Hot water tank. New Furnace. It’s all done, no worries for years to come. Just back up the moving truck and move in.